People with disabilities face many barriers that can prevent them from leading fully independent and fulfilling lives (Center for Disease Control and Prevention (CDC), 2015). Assistive technology (AT) includes “any item, piece of equipment or product system, whether acquired commercially or modified, that is used to increase, maintain, or improve the functional capabilities of individuals with disabilities” (Field & Jette, 2007, p. 186-187). AT can help people with disabilities overcome the different barriers, which they face in their daily lives. There is a wide range of AT devices that can help people with disabilities, including low-tech devices such as canes, walkers, magnifying glasses as well as high-tech devices including automatic wheelchairs and iPads. In order for assistive technology to best help the intended user, it needs to be accessible. Accessibility of assistive technology encompasses all the essential factors that contribute to the development of a successful device, such as availability and usability (Booth, 2012). Assistive technology is designed with accessibility in mind, but, oftentimes it is still difficult hard for users to find assistive technology that suits them. Additionally, there is a high abandonment rate among users of assistive technology. Abandonment is the discontinued use of an assistive technology that can lead to disillusionment with future technology (Kintsch & DePaula, 2002). “Assistive technology tools are expensive and the abandonment rate is an inefficient use of a finite service system that results in a loss of potential, freedom, and independence” (p. 2). 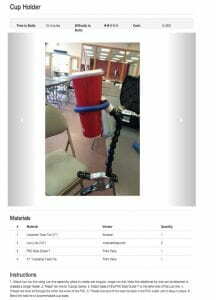 In order to increase both the availability and usability of assistive technology at the Seven Hills Foundation, our team of Worcester Polytechnic Institute student researchers, working through the Worcester Community Project Center, developed a database that catalogs both commercially available and do-it-yourself AT solutions that are available at Seven Hills. In order to ensure that the AT database would successfully assist staff in finding assistive technology solutions, we first conducted a stakeholder analysis. This included research regarding the care of the participants at Seven Hills and the challenges they face, as well as working with the staff to discover their needs. We interviewed eight staff members at various Seven Hills’ programs, surveyed forty-two staff members, and conducted participatory observation at various Seven Hills locations. Over the course of this evaluation, we found that the biggest detriment to the usage of assistive technology was time constraints of the staff. Five of the nine staff members that were in charge of an existing low-tech assistive technology kit did not have time to search through Therese Willkomm’s manual, Assistive Technology in Minutes: Book 2, included within the Kit to find solutions. A group of WPI student researchers developed the Kit, in March 2015, to provide the staff at Seven Hills the necessary tools to assemble a variety of low cost AT devices, suitable for a multitude of disabilities (Valley el al., 2015). The staff members also lacked the time to figure out how to assemble solutions from the Kit. An AT database would make it possible for the staff to quickly share AT solutions to all Seven Hills locations, facilitating a collaborative effort that promotes the growth of new ideas and the development of existing ideas. This research also helped us to develop features in the AT database that would be useful for the staff at Seven Hills. Next, we evaluated the existing low-tech assistive technology kit that was being used at Seven Hills. We found various problems with the Kit. Problems with the existing Kit include difficulty finding effective solutions, high cost of and lack of materials, and the short term nature of all solutions created by the Kit. From these findings, we recommend that (1) Seven Hills give more information to their staff about how to replace materials in the Kit, and (2) design an expansion pack for the Kit containing materials that are used often. Next, we designed the AT database using MySQL, a user-friendly, free, database management system (DBMS) that has a large capacity and can be easily accessed through a web application. MySQL was an appropriate platform for the database because it is built on the relational model of database organization and our team members had previous experience working with it. MySQL is a powerful database management system that can hold large amounts of data and is designed to be used, accessed, and connected to by many users at once (“Top Reasons to Use MySQL”, 2016). Additionally, it comes with its own server hosting software, making it easy to connect to the database with the interfacing application. We then referenced our interviews with Seven Hills’ staff and experts in database creation; including Roger Donahue, WPI Database Administrator, Mohamed Eltabakh, Assistant Professor of Computer Science at WPI, and Andy Roberts, a data architect at Microsoft, to decide upon a list of entities, or objects, held in the database. We determined that the database needed to include the solution, material, category, and comment entities. The solution and material entities would make it easy to find solutions and what materials were necessary to build the solution, while the categories would make the database easily searchable. Pictures would show staff members how a device is built and functions, and finally comments would make it easy for staff members to share information about the solutions they’ve built and modifications they have made to existing solutions. The solution page on our web interface is shown below. At first we believed that a rating system would help differentiate solutions. However, we learned from Benjamin Marshall, Case Manager at the Seven Hills Adult Day Health Program, that low rankings might act as a deterrent to using a solution, and a solution that did not work well for one individual might work well for another. These entities needed to be populated for the database to be useful for the staff at Seven Hills. In the time we had, we populated the database with approximately 76 solutions. Having additional solutions in the database will provide the staff at Seven Hills more options, and as a result, we recommend that the staff at Seven Hills continue to populate the database with AT solutions. Based on our research of various databases and our interviews with organizations such as Easter Seals, we learned about a number of useful sources to populate the database, such as, at4all.com, atsolutions.org, abledata.com, and instructables.com. Discovering what tags/categories would best benefit the users of the database was a major part of the development process. As a result of the interviews we conducted with staff members at various Seven Hills locations, we learned that AT solutions regarding activities of daily living and recreation were the most frequently used type of AT (Alissa Rivard, Taylor Johnson, Benjamin Marshall, Hellen Bushard, & Joseph Plaisance, personal communications, March and April 2016). Therefore, we created activities of daily living and recreation activities as umbrella categories for the database. Additionally, in recognition of the individualized nature in identifying the appropriate AT solution for a participant, we developed categories related to functional abilities and limitations. These included tagging whether a device required high mobility, or a light touch, etc. Finally, we added a tag for whether a device was low or high cost, in order for the staff to easily search for solutions that met their budget. The database also supports the functionality of users adding their own tag. One problem created by the add categories feature would be database clutter. If a user makes a typo, for example typing in “Recration” instead of the already existing “Recreation” tag, both categories are now located in the database. To alleviate this problem, we recommend implementing a dictionary check when submitting new tags to prevent duplication. According to Domenic Smarra, the Chief Technology Officer at Seven Hills, the staff at Seven Hills have various degrees of technical knowledge and may find it difficult accessing a database directly through SQL commands. Therefore, it was necessary for us to develop a web application that will convert graphical buttons and search functions into queries onto the database, allowing everyone to use and access the AT database. In order to access this database, we built a web-based interface that would allow staff to search the AT database, add their own solutions, and comment on existing solutions. This interface used MEAN which is a lightweight, fast and flexible web development framework. MEAN stands for MongoDB or MySQL database, ExpressJS web framework, AngularJS participant-side framework, and NodeJS web server (Hightower, 2016). This website included a search bar for solutions, an add solution form, and a solution of the day feature. The interface’s search function worked through simple substrings, which means it looks for any keyword entered in either the solution name, description, or tags and returns any matching solutions. This solution is limited in searching power, as it limits users to their own keywords and can give bad results. For example, searching for “eating” might return a result that aids with “seating” because the word “seating” contains the word “eating”. Thus, we recommend improvements to the search functionality of the website, perhaps through the use of an established search engine. The add solution form allows users to add their own AT solutions to the database. It was necessary for the add solution form to include all the information we included in the database, so that there would not be any empty fields in the database. This also included usability testing of the interface in order to ensure it was easy to input complex forms such as materials, where there may be multiple new materials, all including a vendor and quantity (Duvall, Matyas, & Glover, 2007). Finally, the “Solution of the Day” function allows the users of the database to find solutions that they originally may not have thought to search for. This widens the availability of assistive technology by exposing users to additional solutions they are not aware of. The final step in the creation of the AT database was training the staff at Seven Hills to use the database. 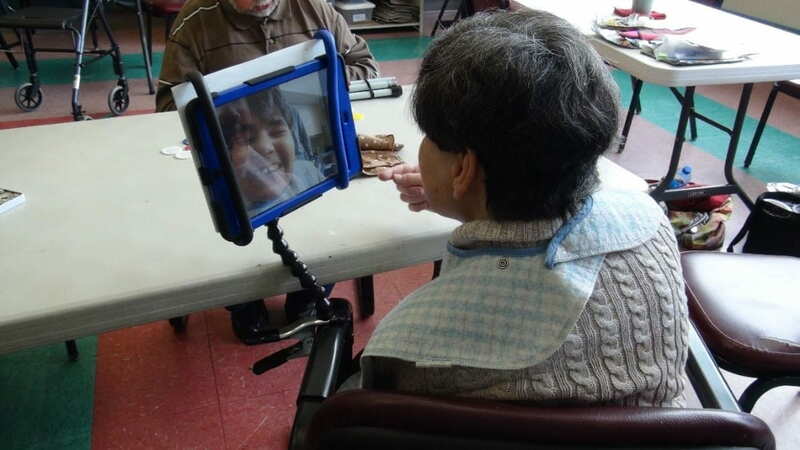 We held two in-person training sessions at the Worcester Day Habilitation (WDH) and Adult Day Health (ADH) programs, as well as online Zoom Conference training sessions with the AT Super Users. We also developed a brief, descriptive instruction manual to help the staff learn how to operate the database. The staff involved in the training sessions enjoyed the ease with which they could find solutions, as well as the information provided on each solution. One staff member said, “I feel this will definitely help everyone find information easier,” and three individuals commented that they were looking forward to using the database (Survey of the Staff’s Level of Comfort and Exposure to Different Types of Technology, April 2016). We recommend that Seven Hills conduct additional training sessions in the future, to share the database with other programs at Seven Hills. In addition, follow-up sessions for those that request them, could be provided by the AT Super Users. Overall the staff at Seven Hills see the database as useful and are receptive to working with it. 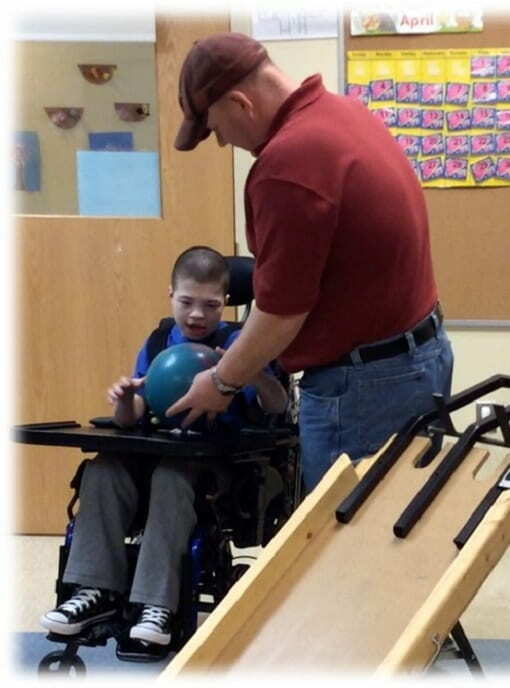 Individuals with disabilities face many obstacles, which can lead to reduced independence and quality of life. Assistive technology devices are tools that can be used to overcome the challenges people with disabilities face. Over the course of our project, we created a database and web application to increase the accessibility of assistive technology at the Seven Hills Foundation. This database, when in use, will increase both the availability and usability of assistive technology, which are the two main factors of accessibility. First, the availability of assistive technology will increase as more participants learn about the options available to them. The database will also increase the usability of AT Solutions, as the instructions for building and using solutions will be easily available through the database. We hope that our project will better the lives of the participants at Seven Hills through increased independence and quality of life.